MELTING POINT – 1768.3 DEGREES C. / 3214.9 DEGREES F.
Midwest Refineries does not accept the following Platinum. Midwest Refineries pays 90% of the amount of pure platinum contained in your order. Midwest Refineries pays 80% of the amount of pure palladium contained in your order. Platinum orders under 3 troy ounces are purchased outright, based on average after melt weight loss and purity. Platinum orders of 3 troy ounces or more are melted and assayed to determine exact platinum content. You receive the market or spot price on the day your order is completed and ready for settlement, less $25 back of the bid price on platinum shipments. Platinum is considered to be the rarest of all precious metals! It is also one of the most valuable metals. All the platinum mined since the beginning of time, worldwide, would only fill a cube measuring about 25 feet on all sides! A 6 inch cube of platinum weighs as much as an average man! It takes 6 months of processing to produce a single troy ounce of platinum! Over 20% of all consumer goods either contain platinum or are produced using platinum. Approximately 8 to 10 tons of raw ore must be mined to produce just one pure ounce of platinum! Roughly 90% of all platinum supplies come from South Africa and Russia. Gasoline, hard disk drives, anti-cancer drugs, fiber-optic cables, LCD displays, eyeglasses, fertilizers, explosives, paints and pacemakers, all rely on platinum. Considering the value of platinum and platinum group metals like Rhodium and Palladium, it is in your best interest to sell, or recycle all precious metals to a refiner who has earned a reputation on integrity and trust. Midwest Refineries has enjoyed a repeat customer loyalty that has enabled us to remain in business for over 65 years. 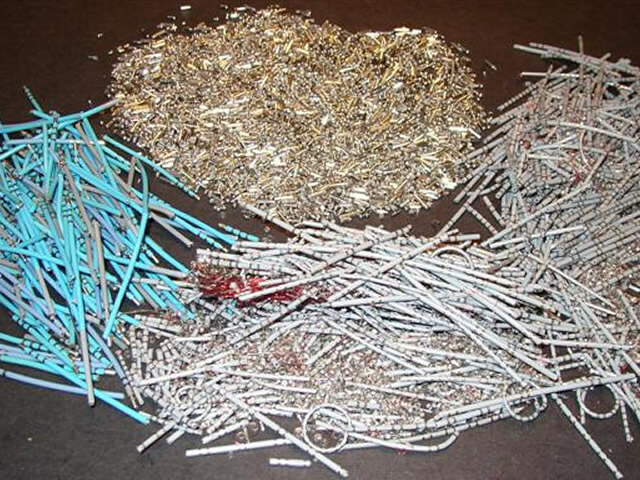 Platinum from laboratory ware like crucibles and filters, platinum-rhodium thermocouple wire, and medical grade platinum waste and scrap, are processed to recover the highest settlements for our valued customers. 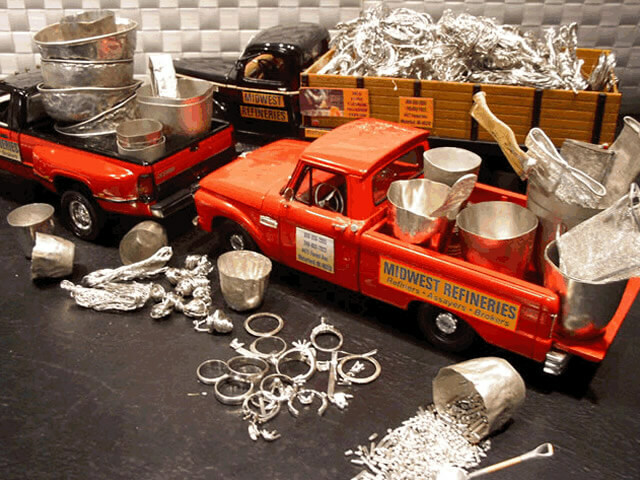 We are refiners, smelters and buyers of all platinum contained precious metals like platinum jewelry, industrial platinum scrap and platinum bullion, coins and bars. 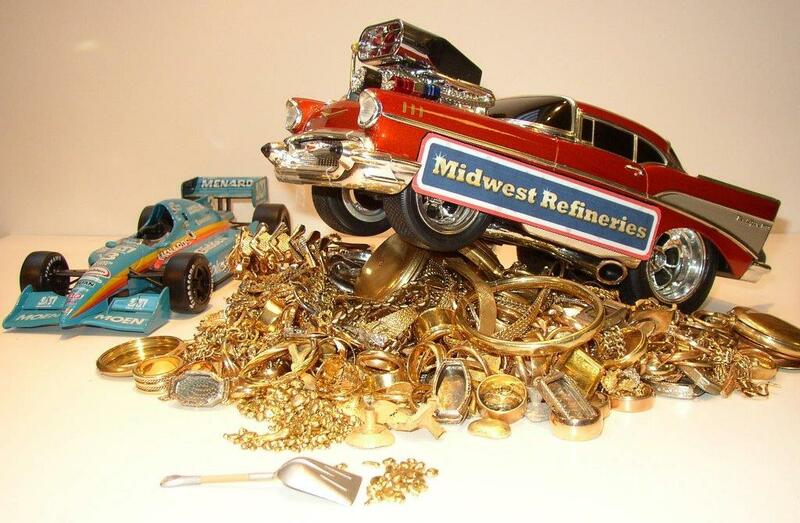 Midwest Refineries is the refiner of choice for countless industries and companies wanting to sell or recycle platinum. Our chemists and laboratory is committed to insuring you receive accurate and correct value for all your platinum metals. Our reputation is as important to us as your platinum is to you. That reputation is grown, one customer at a time. Call us anytime with questions you may have about your particular platinum materials. We would appreciate being of service to you as platinum buyers, refiners and brokers of all your platinum group metals. 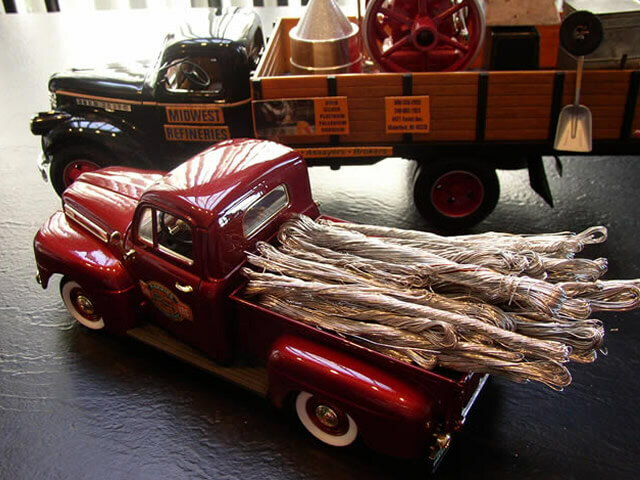 “Dear Midwest Refiners, this is my third time doing business with you in selling Platinum scrap wire. Enclosed is 40+ ounces of platinum – rhodium thermocouple wire, type S. Let me know when the order is completed and the amount. I might want a bank wire but may want a couple of platinum bars. I will let you know. 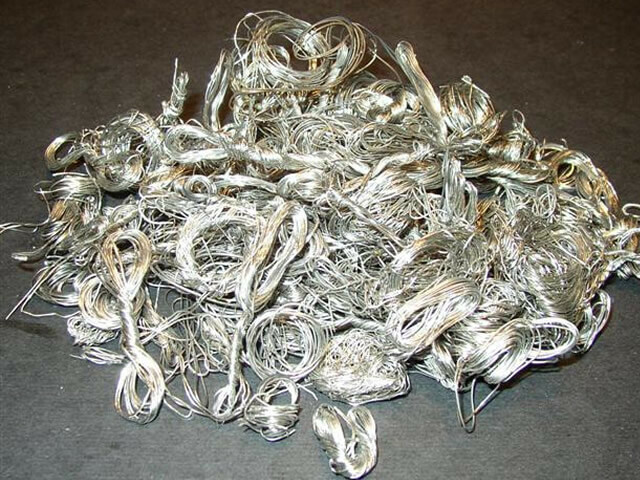 We have been very satisfied with how Midwest has purchased our scrap platinum in the past and will highly recommend your services to our associates.” Sincerely, Stuart A, GA.
“…wow, I couldn’t believe the check I received for the 138 grams of platinum wire I sent to your firm. I am an estate liquidator and come across precious metals some times. I really want to thank you for being so honest, as I truly didn’t know at the time whether it was platinum or silver or junk. I have told friends about you and will definitely use Midwest Refineries again.” B.H. AL. 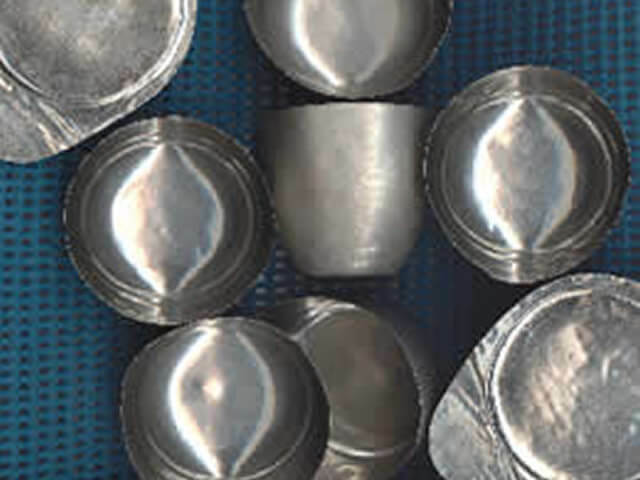 “Midwest Refineries, this shipment contains (6) large platinum crucibles weighing 22.862 troy ounces, (4) platinum lids weighing 3.6 troy ounces and (1) unused platinum sputter target weighing 5.572 troy ounces. These items are no longer needed in our department and we wish to scrap them for their platinum value. Our transaction with you back in February for the palladium and platinum targets was most satisfactory and we will continue to use your refining services as the need arises.” Sincerely, M. M. Company, Physics Department, CA. “Gary, we received your check for my Mothers gold and platinum jewelry pieces. She was happy with the amount and is packaging up a few more items she no longer wears to send in. 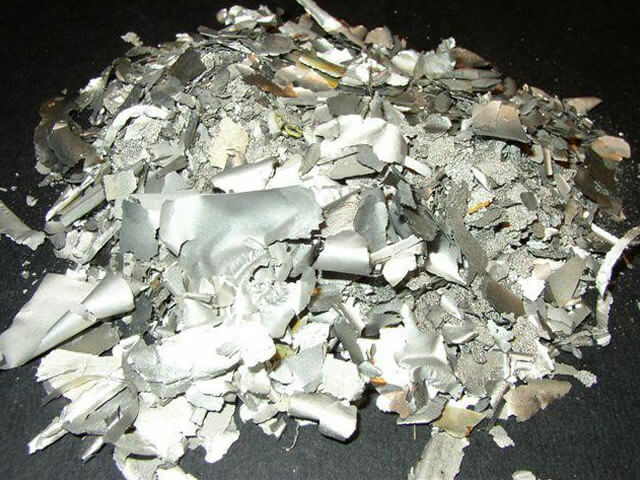 ….and thanks for the great and speedy service.” Elaine P., VA.
“Hello Midwest Refiners, here’s another load of medical platinum for refining. I will be out of the country from…. I will send another shipment when I get back. Always a pleasure doing business with Midwest.” Best regards, Harry L. II, AZ. 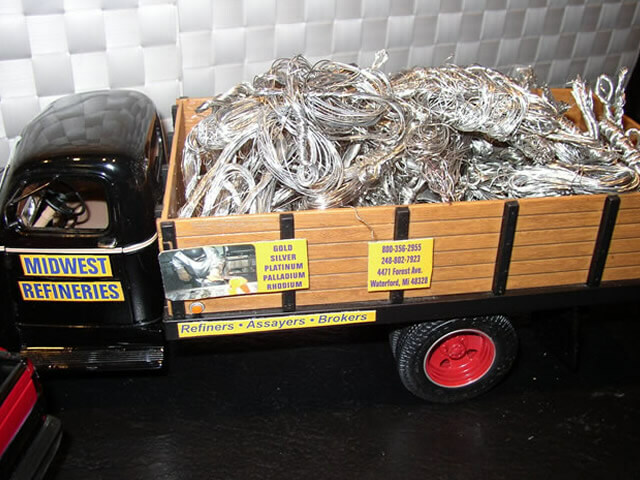 “Midwest Refineries, thanks again for the fast return on my last order of platinum thermocouple wire…… I will use your firm again when I have more to sell.” Sincerely, Marsha W. CA. “Hello Gary. 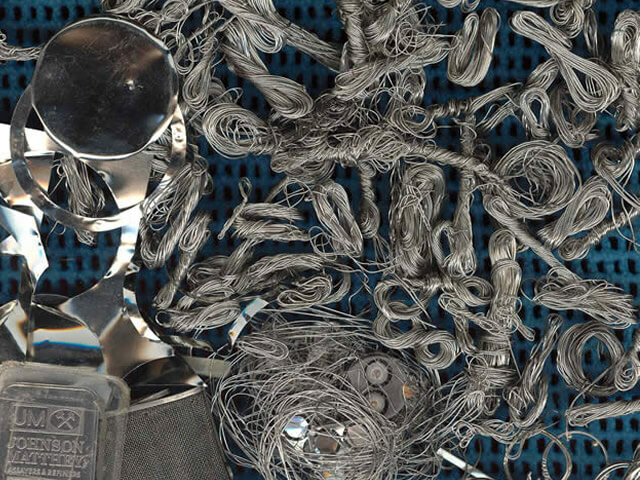 Enclosed you will find several shredded platinum pieces taken from laboratory utensils along with 3 crucibles and 2 lids. Also there is a small mesh screen in a separate bag. (not sure if this is platinum). Process these items and send me a check as before. Thanks for your services.” Regards, Larry S. LA. “Gary, I was surprised to receive my check for the scrap collected from rebuilding 2 heat exchangers. I thought the material contained only gold but was delighted to receive settlement on platinum and palladium also. The additional funds will come in handy. Thanks for your honest evaluation of my scrap materials.” Peter J. IN.